Scientific progress depends on efficient mechanisms to select, quality control and share rigorous and reproducible research. I will discuss how the editorial and peer review process can be reformed to assess both the interest of the claims made and the reliability, reproducibility and integrity of the experimental data. EMBO Press has instituted a suite of editorial policies called the ‘Transparent Process’ that aims to render publishing more informed, fair and efficient, as well as a research integrity assessment process that runs in parallel to peer review. Open Science is about efficient access to all meaningful research outputs; it encompasses “big data” just as much as bench science. We will discuss mechanisms of open science communication, including new publishing modalities that facilitate sharing of research data with minimal delay and maximal transparency, such as preprints and EMBO Source Data, which allows data-centric publishing and data discoverability. I will mention cultural and institutional obstacles in implementing an Open Science future that renders scientific research more efficient and effective. In times of limited funding and a metrics centric research assessment process, the pressures to publish in a subset of journals can increase dramatically. I will discuss the challenges this poses to the publication process in the context of reproducibility and scientific integrity and focus on the responsibilities of the different stakeholders in terms of education, quality control, reporting and sanctions. Following under graduate studies in Cambridge, Bernd received his PhD in 1992 from the Ludwig Institute for Cancer Research, London, for uncovering posttranslational regulation of the transcription factors c-Jun and c-Myc by the JNK and MAP kinases. He carried out postdoctoral research at the Ontario Cancer Institute, Toronto, the Fred Hutchinson Cancer Research Center, Seattle and at the University of Innsbruck. 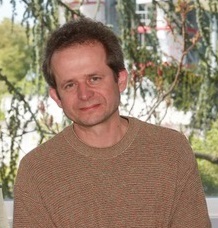 Bernd was associate and then senior editor at Nature from 1999 until 2002 and subsequently chief editor of Nature Cell Biology. He has been the chief editor of The EMBO Journal and Head of Scientific Publications at EMBO since 2009.